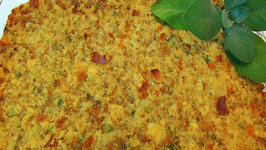 How do you like your cornbread dressing? 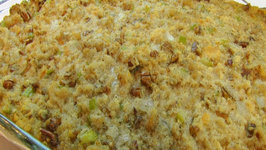 If you like it firm, moist and fluffy with lots of flavor then this southern cornbread dressing is for you!! Starting with ..
Betty demonstrates how to make Pecan Sage Cornbread Dressing. This is a traditional Southern recipe that is great to accompany a holiday turkey. 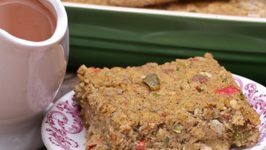 In this video, Betty demonstrates how to make Sausage-Sage-Cornbread Dressing. This is a fabulous Southern-style dressing for serving with pork loin or a Thanksgiving turkey! Southern Style Citrus Salad with Grapefruit Salad Dressing.